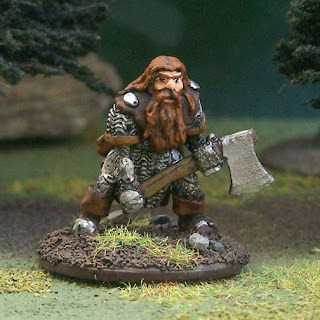 Great stuff - he makes a very good Gimli. Strider and Gollum are pretty cool too! Very nice! Gimli and Strider and Gollum. You have great attention to detail. Thanks guys! I appreciate the comments. I don't belong to a wargaming group, so it's good to hear the compliments. Like Thanos,I am a history boy,but he is very well painted.